By J Hutcherson (Jun 19, 2018) US Soccer Players - Once again, instant replay is an issue. Added late to the World Cup, what FIFA wants the world to refer to as Video Assistant Referee, or VAR, is already inviting fans to come up with alternative colorful acronyms. For fans of soccer leagues using instant replay, this isn't surprising. There's an old software concept that goes like this. Sometimes, what looks like a flaw or a bug is actually a feature. Or vice-versa. That's one way to look at the instant replay revolution in pro soccer. MLS was one of the early adopters of instant replay, somewhat surprising since they weren't as interested in goal-line technology. Enter the video assistant referee, a setup that has led to questionable calls, reversals, and an interesting take on stoppage time. If you were going to list the positives for soccer for broadcasters, knowing a regular game will fill a two-hour programming block is one of them. No bleed over into other programming. No marathon game that just keeps going, a feature that might also be a bug for baseball. Well, until extended use of instant replay leads referees to add on a lot more than four minutes and breaking the programming block. All of a sudden, it's soccer preempting the next show, sometimes on nationally available channels. Bug, not a feature. We're still in the shakeout phase of instant replay in soccer, well at least in theory. It's hard to stress that point when FIFA went ahead and added instant replay to the 2018 World Cup. That move suggests where we are is already fine, that the process of implementation is done. Using instant replay at the World Cup sends a clear message. The system works, right now. It's appropriate for use at the biggest soccer tournament on the planet, and by extension everywhere else. Not helping that view at all are the instant replay issues that have already happened at this World Cup. We're not even through the opening games of the group stage and there's already a list. No surprise to anybody paying attention to other leagues where instant replay has worked its magic. 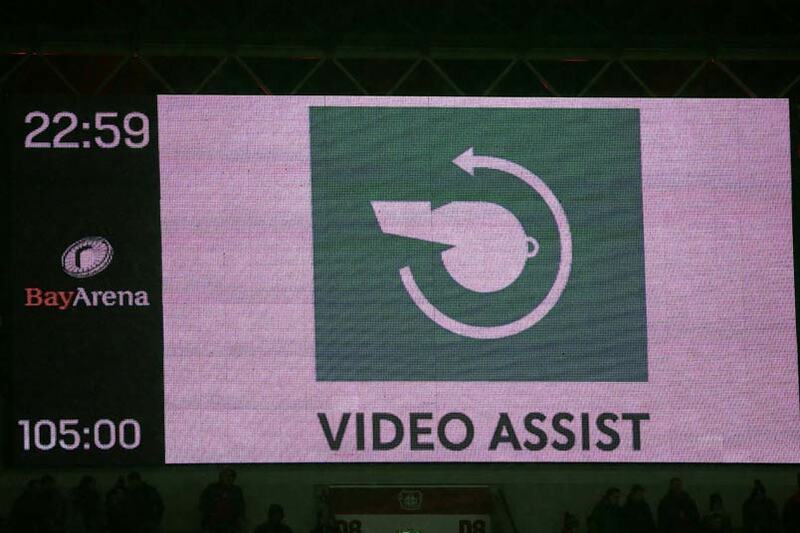 FIFA's insistence on using instant replay now makes some sense. Had they waited, it's another four years before they can send the clear message. Instant replay obviously works well enough since it's part of the World Cup. No test tournaments, gradual adaption, or waiting to see what leagues and confederations do with their tournaments. FIFA made their perspective clear, feature not a bug. In fairness to FIFA, they did this well aware of the instant replay issues. It's a process, with world soccer adapting to a change that can reverse a call. We're all watching the hesitation that creates. Will the goal count? Will the referee spend some quality time on the sidelines with a monitor and a conversation picking apart what just happened in real time? The problem of instant replay across sports has multiple parts. Timing is a major one. Game one of the NBA finals hinged on instant replay, a decision that looked wrong in real time but held up on review. The scenario that led to Cleveland Cavaliers star LeBron James punching a locker room blackboard in frustration. That's probably a sentiment already shared by more than a few World Cup players. Had England not beaten Morocco in their group stage opener, we'd already have our loudest instant replay debate. England's Harry Kane was the recipient of some physical defending in the Morocco box, with two incidents that might have been penalties. The officiating team didn't call either of them. That followed instant replay awarding a penalty to France for their opener in the 2-1 win over Australia. What world soccer is moving towards is the acceptance that reviews will happen. That's a big part of the answer for "why now?" in using instant replay at this World Cup. The game is changing from the structure of tournaments to how they're officiated. Better to get the jump on that for all involved since it's highly unlikely FIFA would roll things back. The expectation is that the obvious problems will work themselves out. The officiating team will get the reminder that nobody needs ten minutes of stoppage time in an MLS game in May. The big stage will adjust accordingly so the main story isn't instant replay. Things will change. Players and coaches will adjust along with fans. Is this the best way forward? Does it improve the game? Is this more bug than feature? FIFA's decision to go ahead with instant replay at the World Cup has already made those questions irrelevant.